After watching so many videos and reading blogs about people's filofaxes that made me drool over how pretty they customized their pages by the way, I finally gave in! 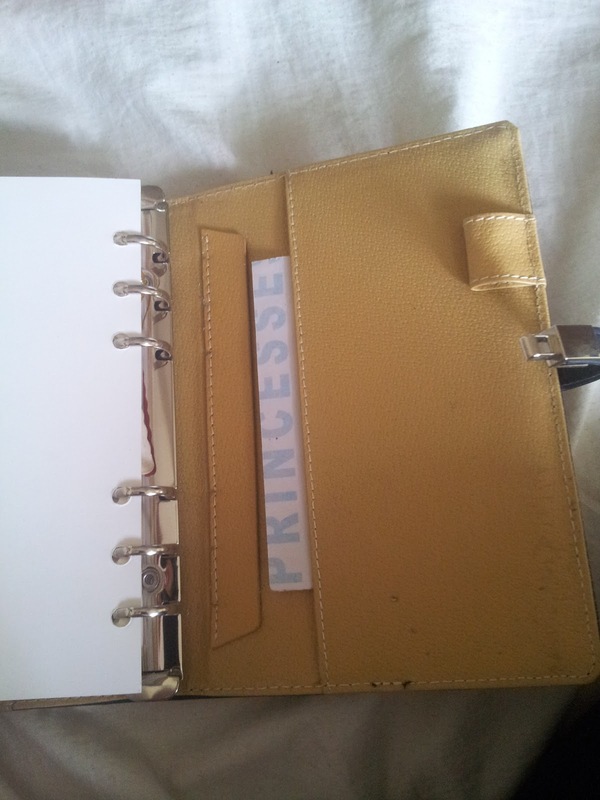 But how I wish it was a filofax. 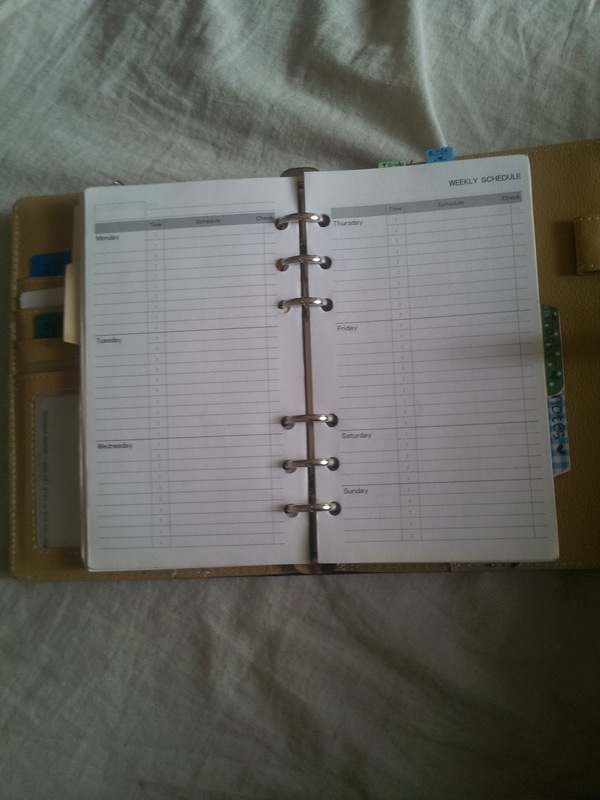 Since I could not purchase a Filofax right now and could not afford in buying one, I opted to settle with a cheap local binder organizer that is a local brand which sadly I do not know what brand is because it does not say on the planner when I bought it. 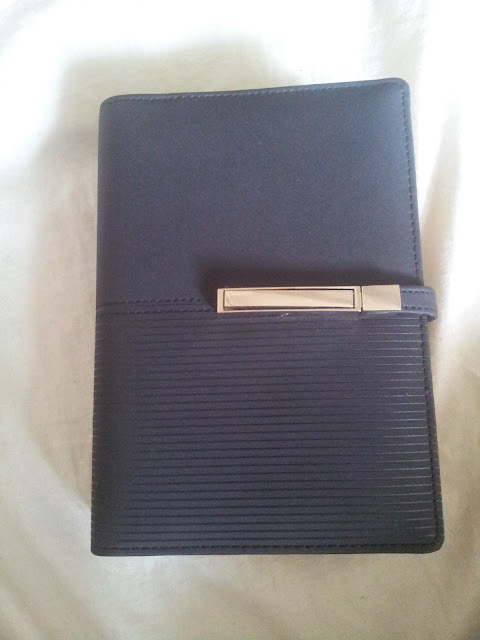 I got my new planner for only 300 pesos or less than 8 dollars. Really cheap huh? 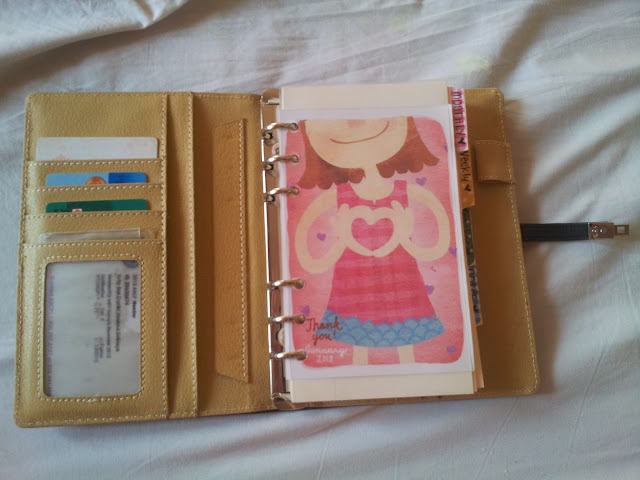 My plan is to buy a Filofax around October or November just so the inserts that will come with it will be the 2014 ones. Just in time for next year. But I could not wait anymore. I had a very very old planner that I own back in high school that I did not get to use that much. So after endless times of thinking to whether I should use it or not, I finally decided to try it. Atleast the inserts it came with. 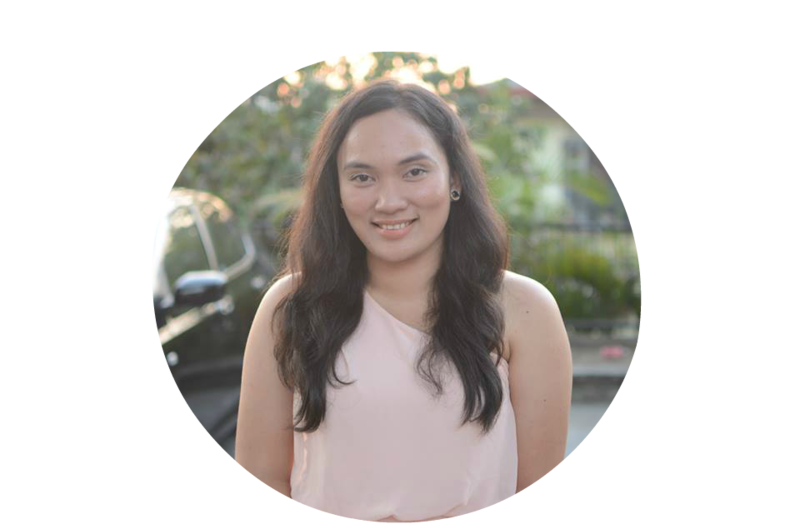 I like how sophisticated this looks because of it's color and simplicity. 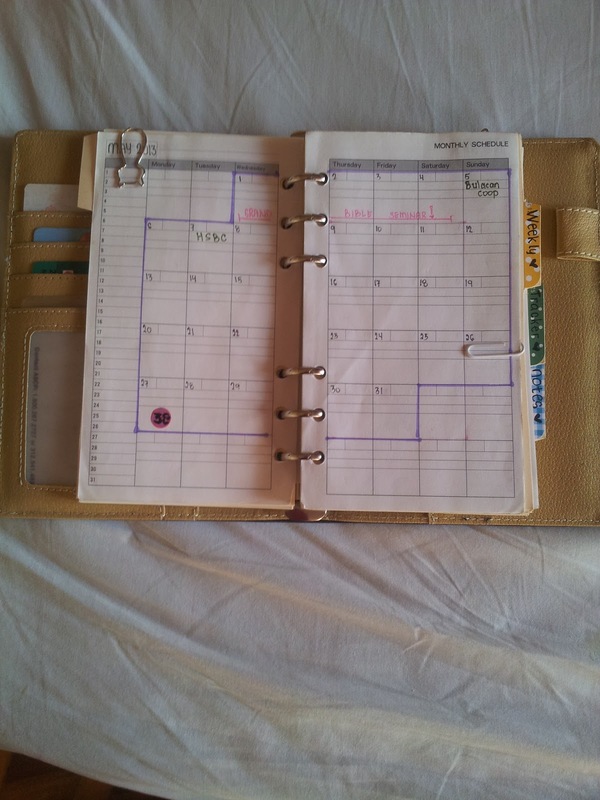 For me, it does not even look like it's a cheap planner. I fell in love with all the pockets made inside this planner. The reason why I decided to buy it. I do not use the pen loop. It's not elastic but it can hold my fat frixion pen. 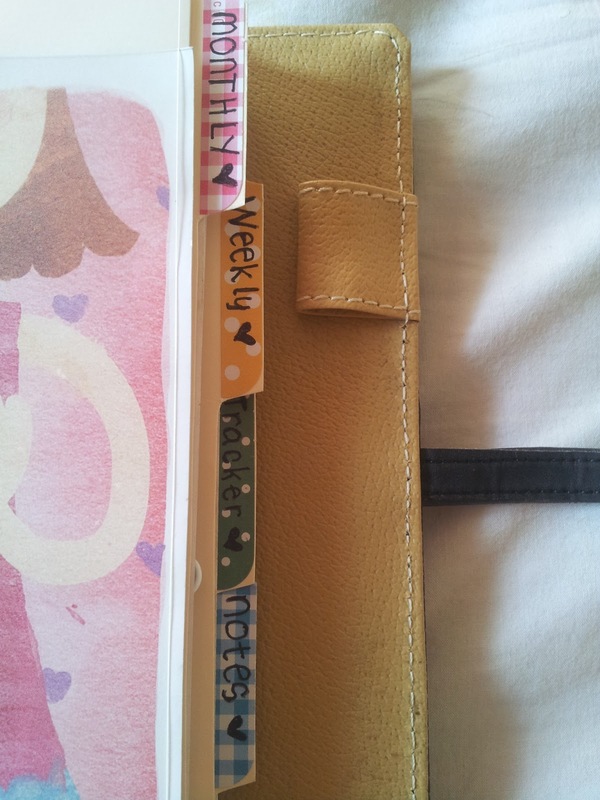 it has one large pocket at the back which now carries one of my boyfriend's letter to me lol! These are the inserts that it came with. 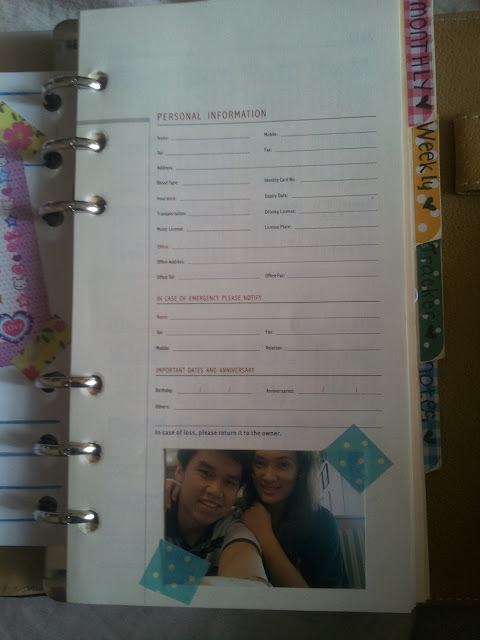 Personal Information sheet that I don't plan on filling up. 2012 year at a glance plus 3 more years ahead. 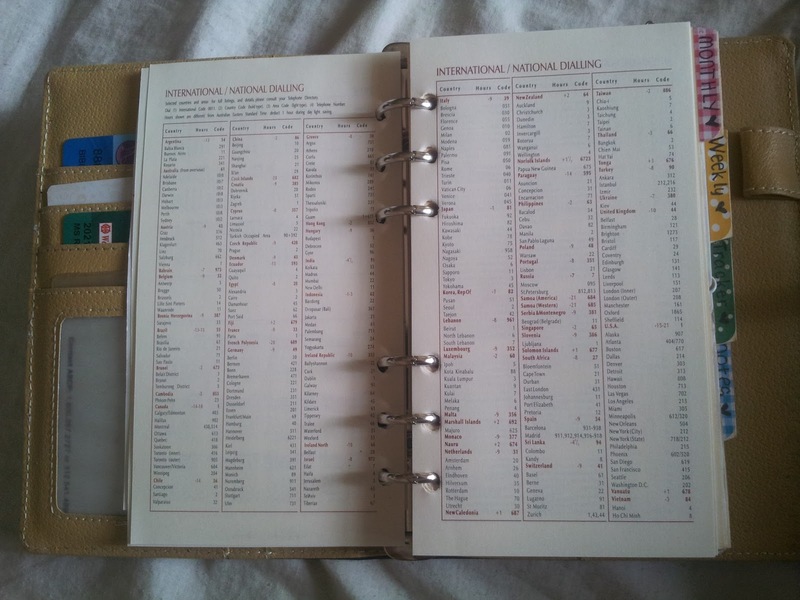 all these miscellaneous pages like international/national dialing, international sizes, metric conversions, etc. etc. how unique are the directory pages are? The only throwback about this planner is that it does not come with any monthly nor weekly pages. It only comes with a bunch of note pad type of pages that you can use as you diary pages. 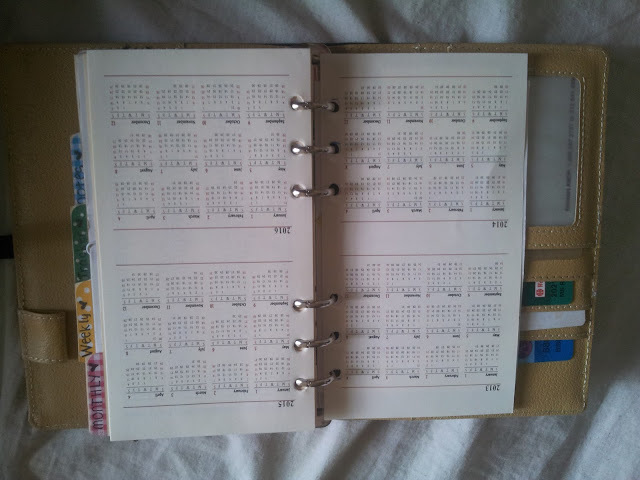 So what I use for my monthly and diary section are these undated inserts that came with my very old planner. And can you believe that these pages are already 13 years old? And since I did not use them back in high school I guess their time is to serve me on this time lol! The inserts are undated. And I am starting to like it because I can really customize it for my liking. week on two pages. 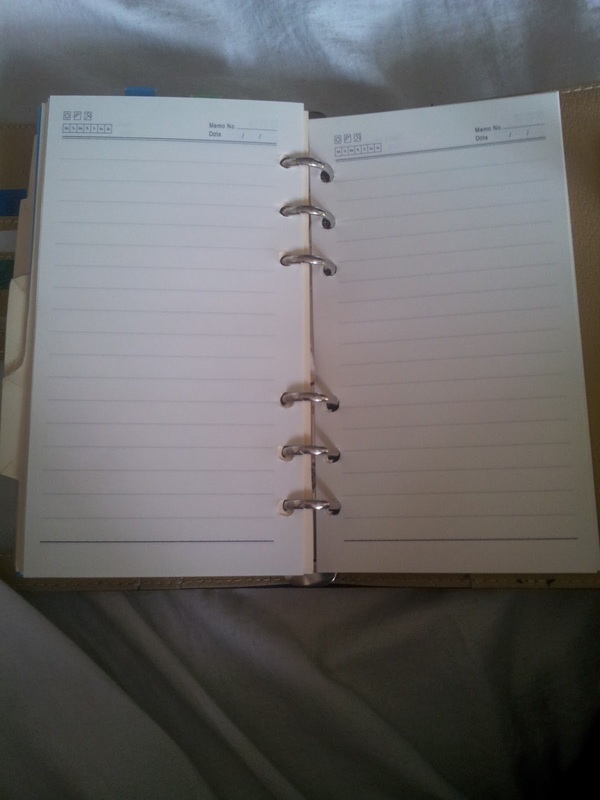 I am glad that the days are printed. It is sectioned on for areas. the day/date/extra space section, a section for the time of your appointment which annoys me so much but I think I can deal with. 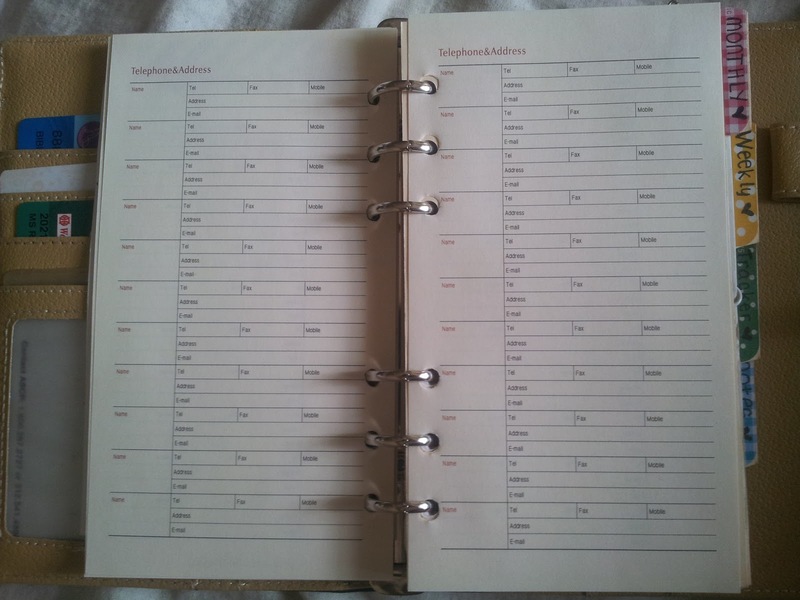 The schedule section and the tick boxes.